There are ancient places on earth where man onced observed the stars. Perhaps on Mars, they once had the same. the other arm's architecture can not be determined. Another dome is visible protruding out from under the rubble near the very top left. Rotated and Cropped. Notice the near perfect symmetry of the arms angling into the "rubble." What exacly is the "rubble" and why does it seem to blanket this anomalous area with such geometry? There seems to be quite abit of unexplainable defined-edge shrouding in the equalized image. This is the ridgeline to the left of the dome. Notice all the strange forms and straight lines. Is that pipework in the bottom right? Notice the right angles. 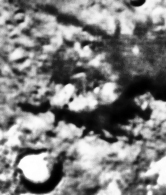 Closeup of anomalous structure. The shadow seems to give the structure the appearance of hovering. This structure is huge compared to the rest of the landscape. The other dome in the picture appears to be somewhat buried in debris but there still appears to be a visible tie with the area above it. Take a good look at the object against the wall. It doe not appear to be a part of the ridgeline. 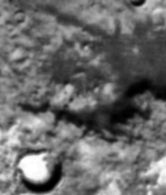 It appears to be a structure with at least 4 visible legs supporting it. The windowed portion of the structure, which I have dubbed "The Ant", has a pipe or some kind of object rising out of it. 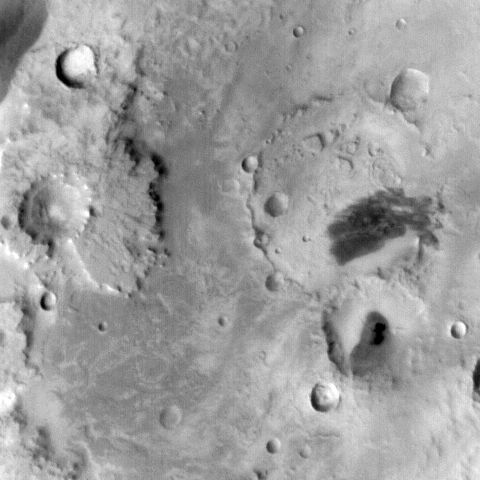 Here is another image of Mars Observatory. 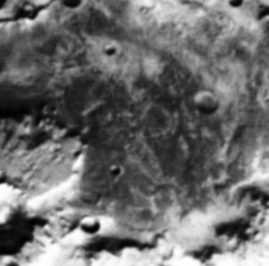 as they first appear,than one would expect this "crater" to occur in the top arm at the angle as well. That is perhaps the most impressive evidence about our Mars Observatory. 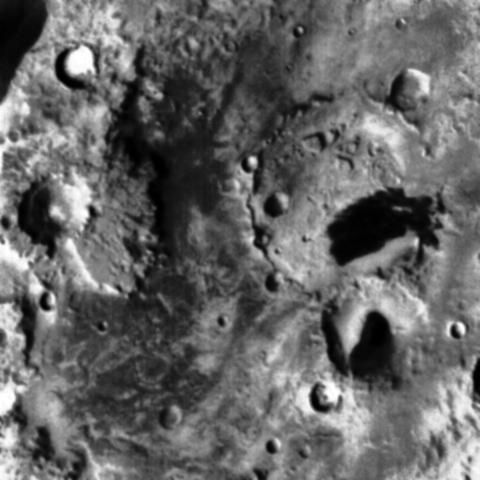 The bottom "Crater" actually seems to be associated with the integrity of the structure. 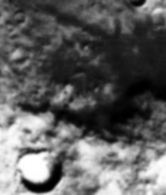 With very little adjustment to the image's contrast we can tell that an angle "crater"
also exists in the top arm, although shrouded with the square black blur.